A modern crystal award in a sleek design featuring a rectangular plaque with rounded corners and a clear glass body with black glass base. These heavyweight awards are approximately 30mm thick. 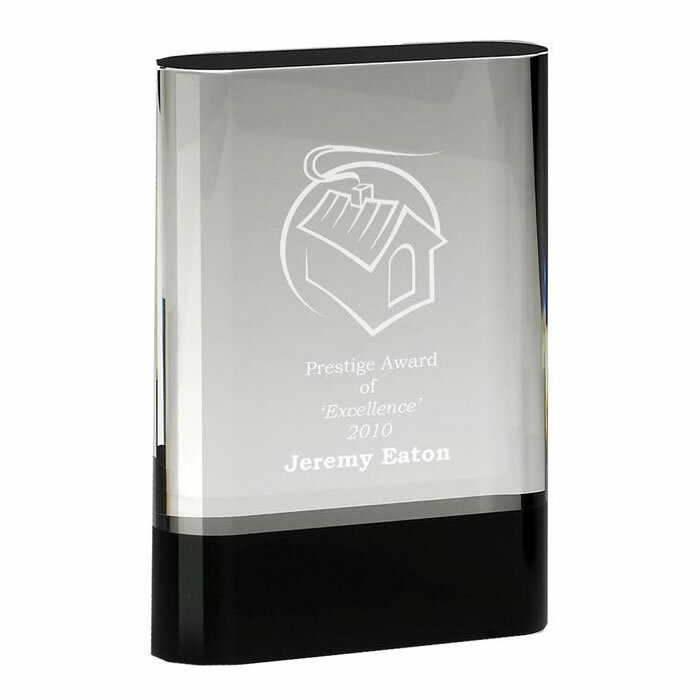 Stands 8in tall, offered with text and/or logo engraving options. Colour print options are also available (please use Request Quote form to inquire).